Mt. 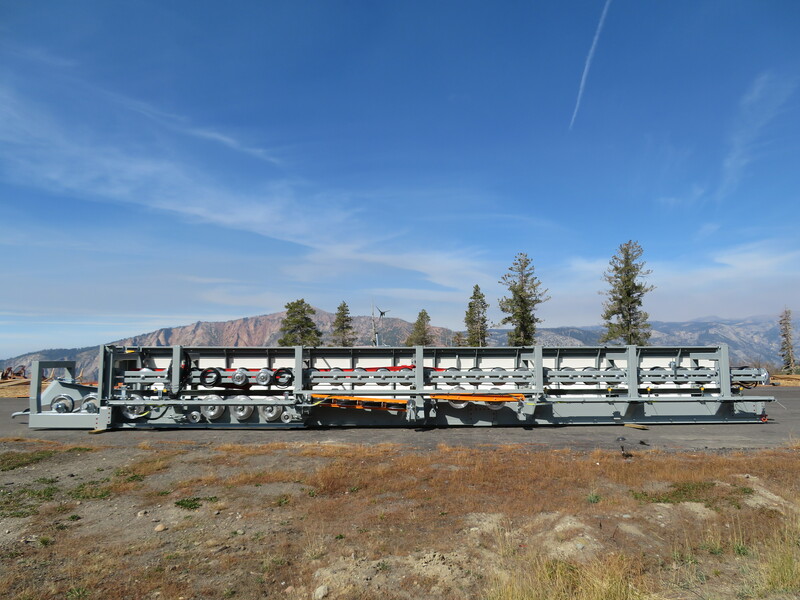 Baker Ski Area’s new Chair 7 is the first on the mountain with an electric prime mover. Replacing a fixed-grip quad with another fixed-grip quad might not seem like much of a change, but Mt. 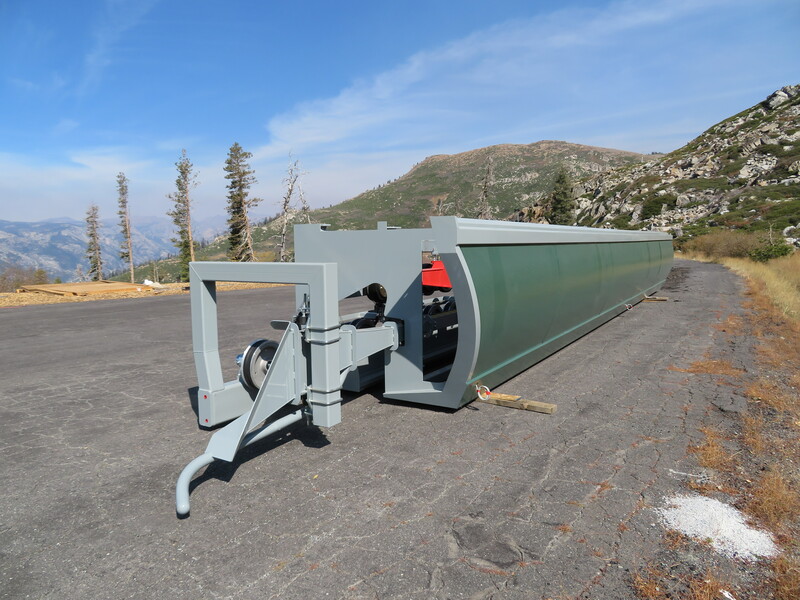 Baker took a significant step forward this summer building an all-new Chair 7 with loads of upgrades. 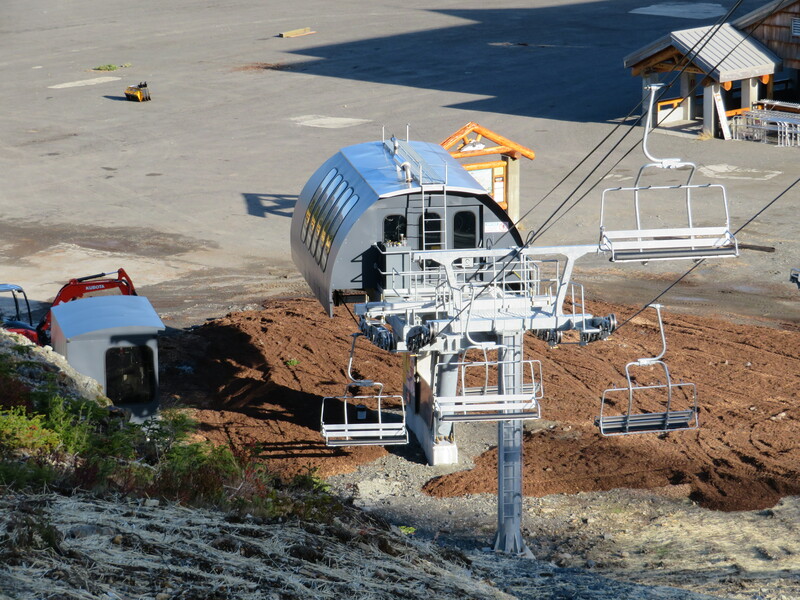 The only lift out of the White Salmon base area is now a Skytrac, the first for this Pacific Northwest favorite with seven fixed-grip quads. 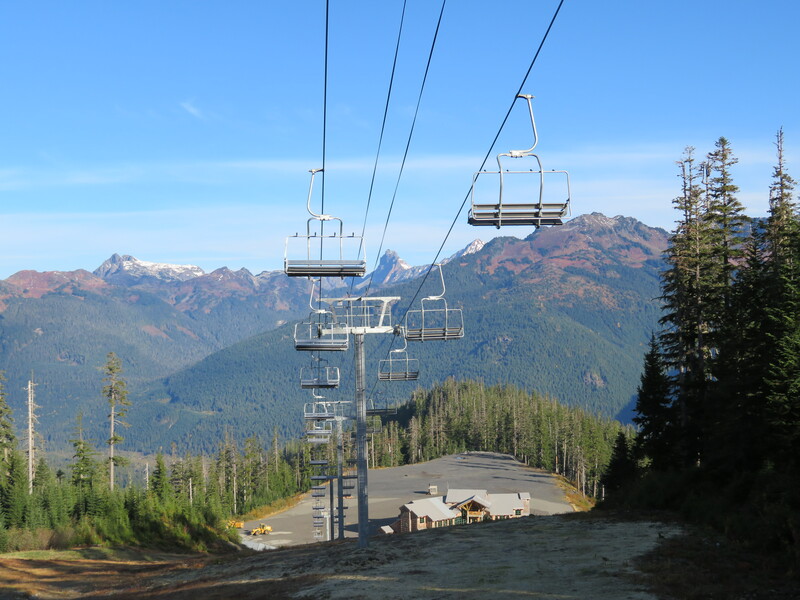 The Riblet Chair 7 opened in 1990 to serve an eastward expansion along with Chair 8 in 1992. 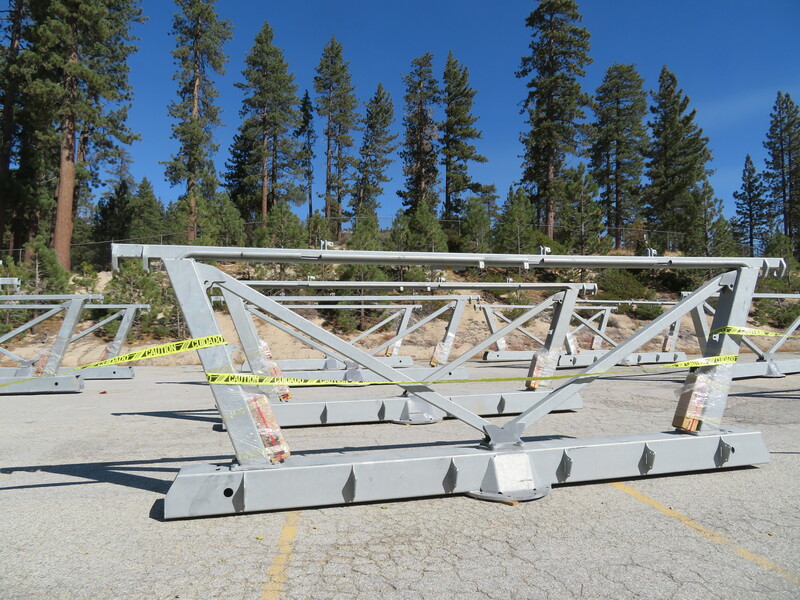 The last of Baker’s seven Riblets went in for the 2001-02, the second to last Riblet lift built anywhere in the world. 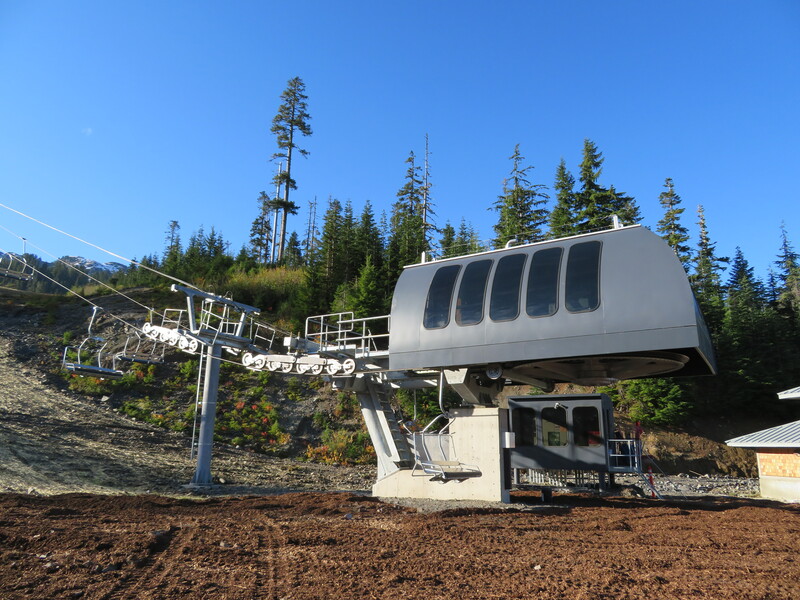 Beginning the following year, a series of four Doppelmayr CTEC quad chairs replaced lifts 1, 3, 5 and 6. All of these lifts were powered directly with diesel engines. 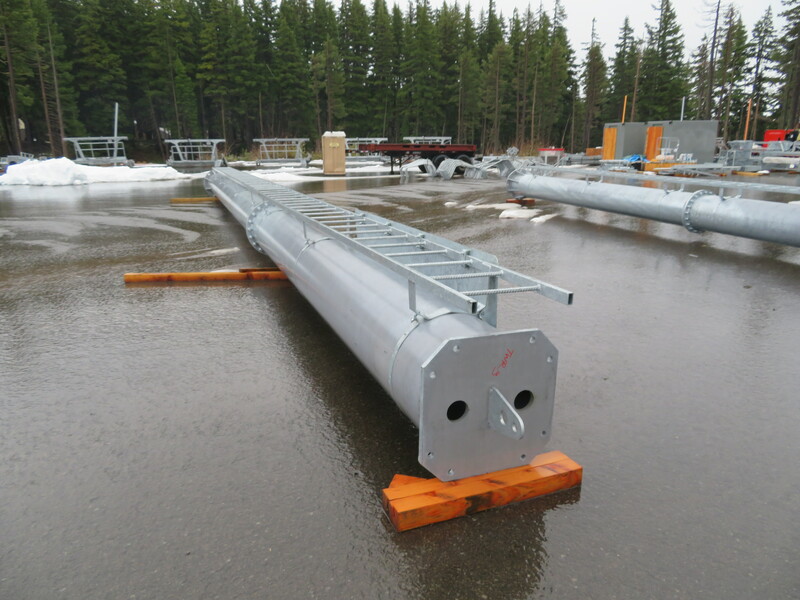 Valemount Glacier Destinations says it’s in talks with both Leitner-Poma and Doppelmayr for construction of phase one lifts in 2018-19. 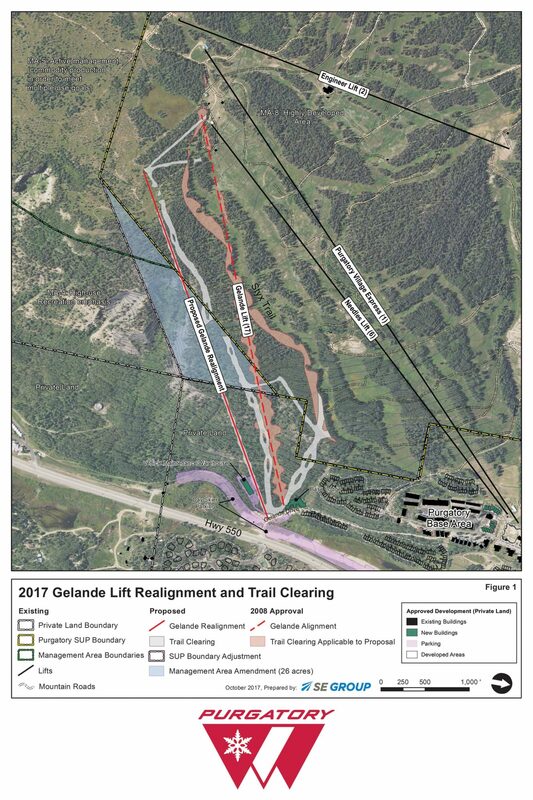 SE Group to present nine alignment options for a new Lift 1A on Aspen Mountain. La Paz breaks ground on its 17th and 18th gondolas, set to open in 2019. 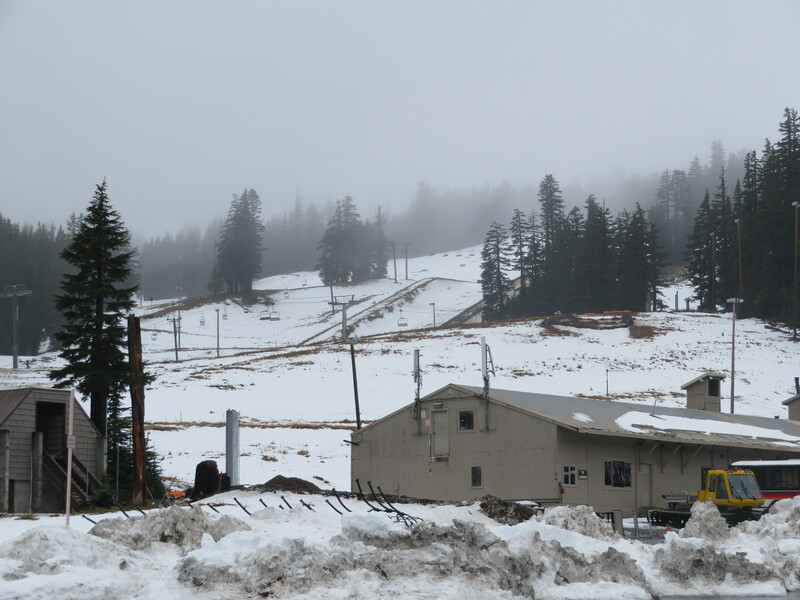 The Saddleback sale still hasn’t closed and an update suggests a shift in focus from building new lifts to reopening with a limited number of existing ones. Here’s a great rundown of Sigma’s new Symphony 10 gondola cabin, which complements the Diamond series. 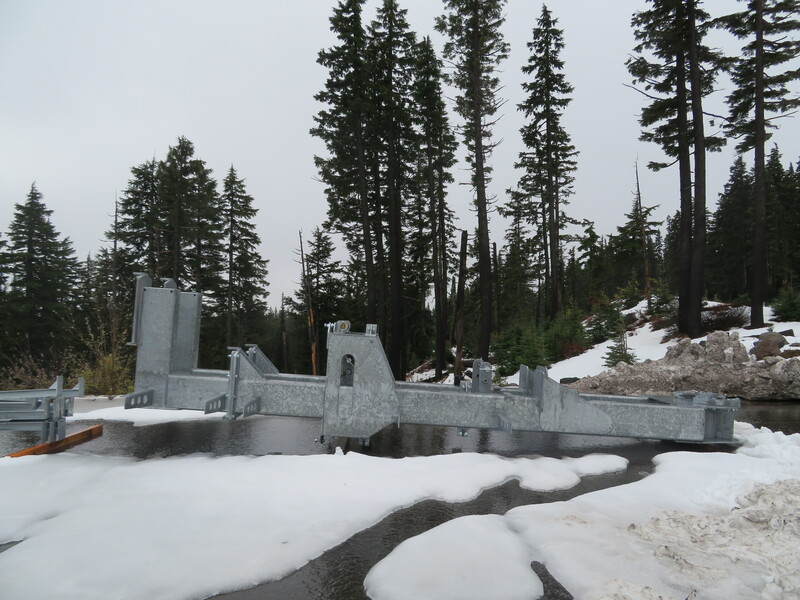 In surprise announcement, Teton Pass says it won’t open this winter. This awesome but remote Montana resort has a 1973 SLI double and a number of used chairlifts in the parking lot for possible expansion. 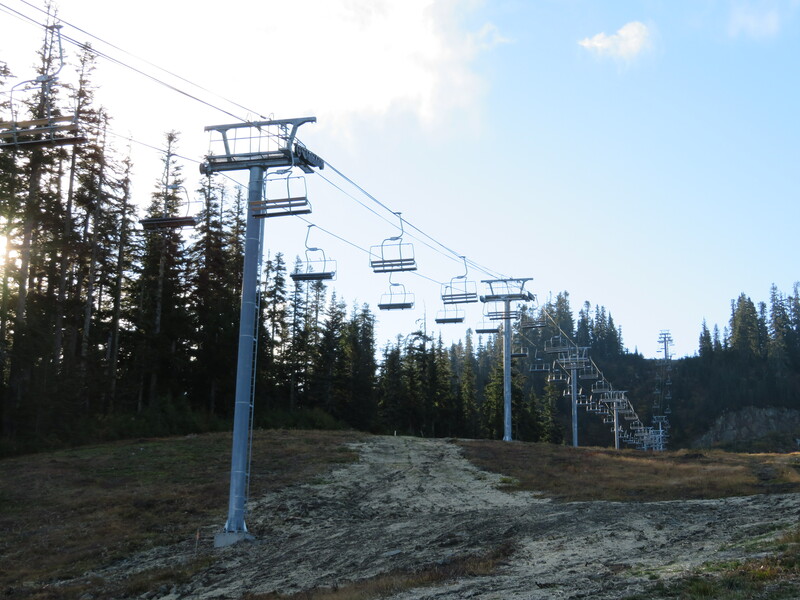 New Zealand’s longest chairlift will reopen December 5th, nine months after a wildfire burned chairs and ruined the haul rope. 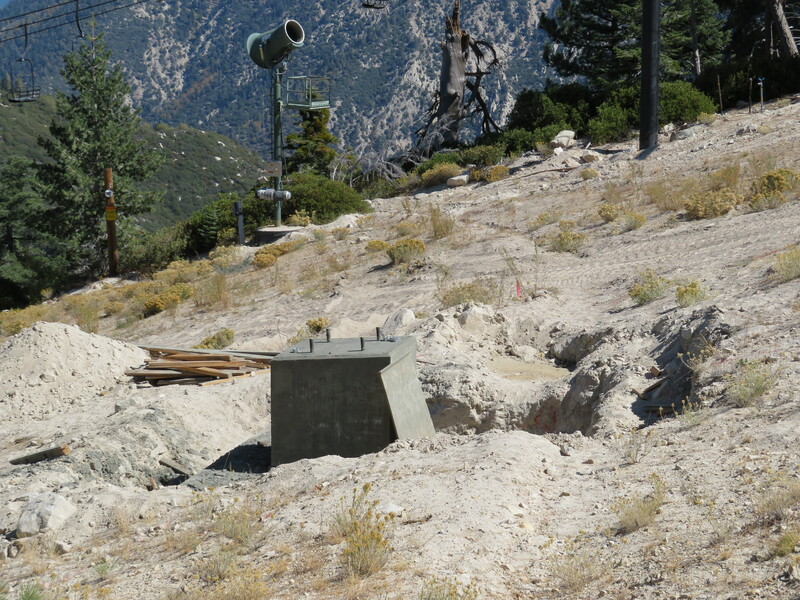 Forest Service releases draft draft Environmental Assessment for Alta’s Baldy tram, Flora lift and Wildcat/Sunnyside replacement projects. Final public comment is now open. World’s largest gold producer proposes building a ski resort with up to 18 lifts on a former mine site near Hope, BC. The Economist looks at why Latin American countries build so many urban gondolas. The Grand Canyon Escalade bill goes before the Navajo Nation Council on Tuesday and needs a two-thirds majority to pass. 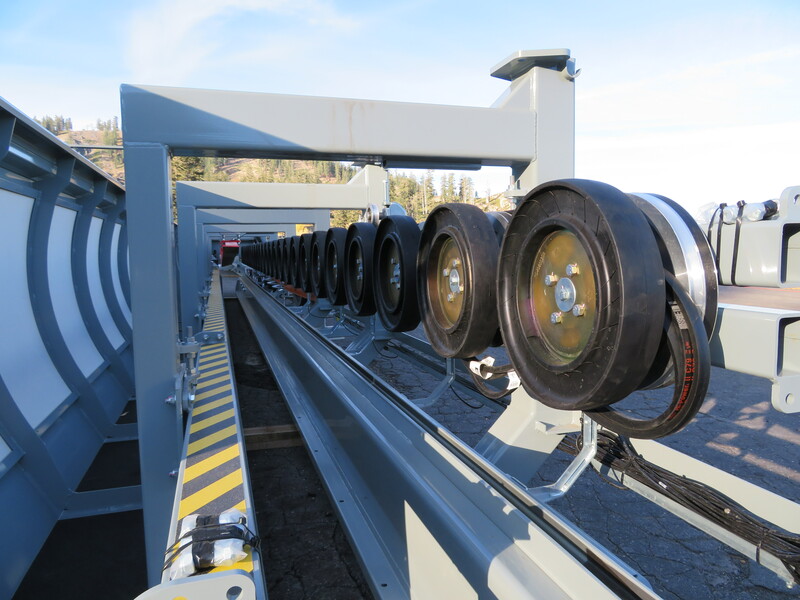 Squaw Alpine names 13,000-foot interconnect gondola California Express, plans 2019 opening. 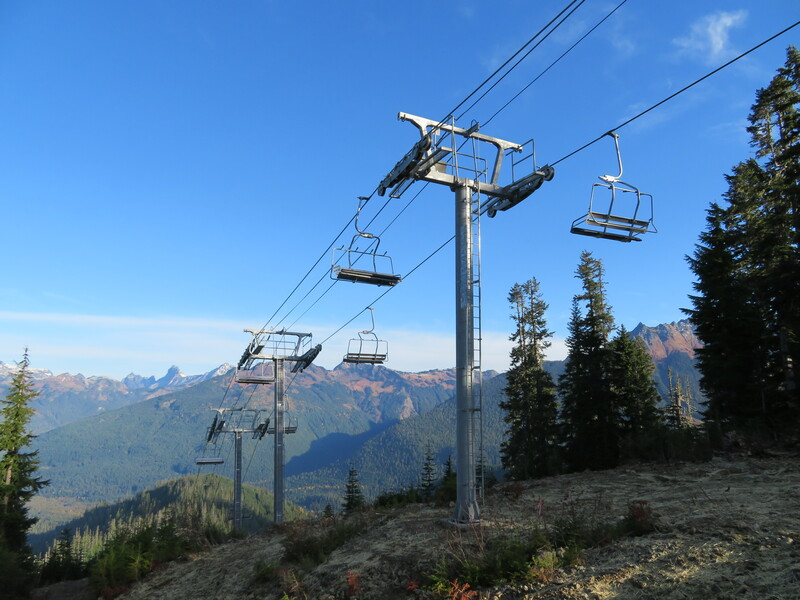 Many resorts are adding bigger chairlifts this season but Mt. 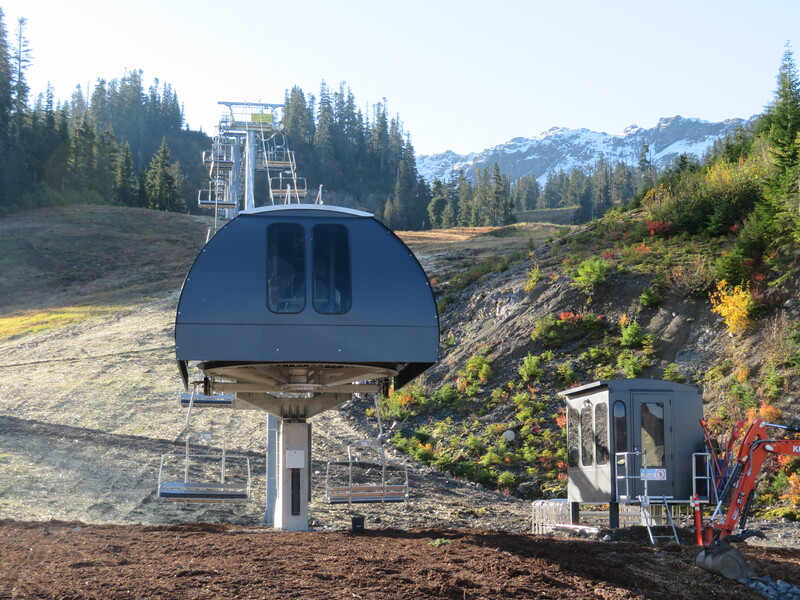 Hood Meadows’ new beginner lift is notable for a couple reasons. 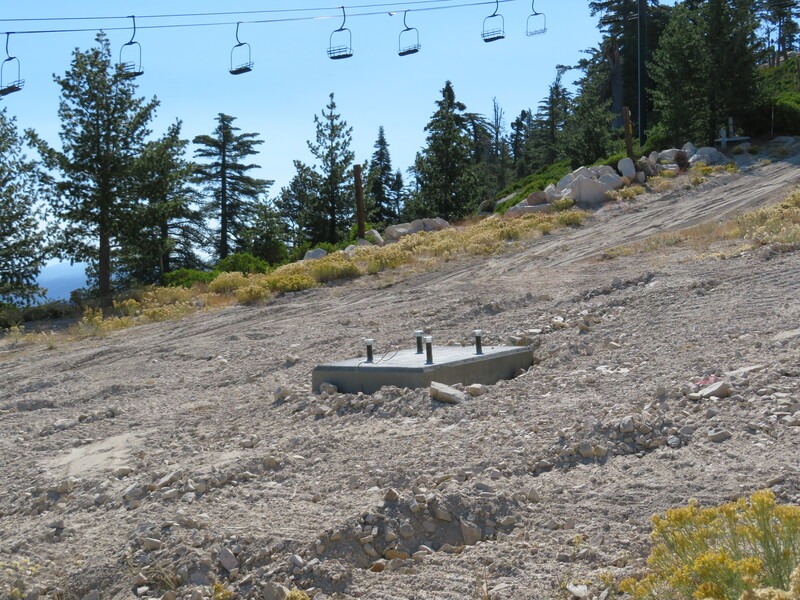 The quad follows an all-new route from the double it replaces, opening up more teaching terrain in the base area. 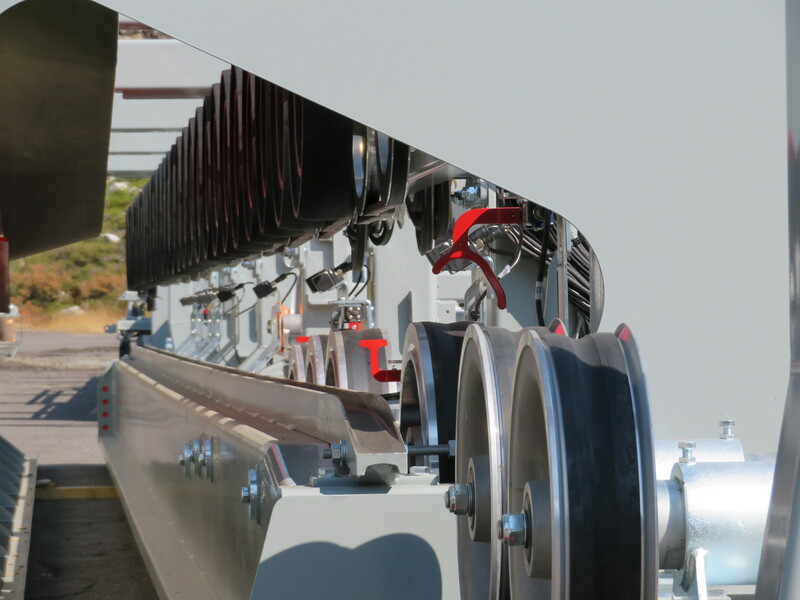 Second, it appears to feature Skytrac’s first height-adjustable terminal at its return station. The drive and tensioning systems will now be located at the top. The new Buttecup is 30 percent longer than the Yan version and will move 70 percent more people. It will also spin 30 percent faster thanks to a loading carpet, which is also height adjustable. When I stopped by Meadows this weekend, Mt. 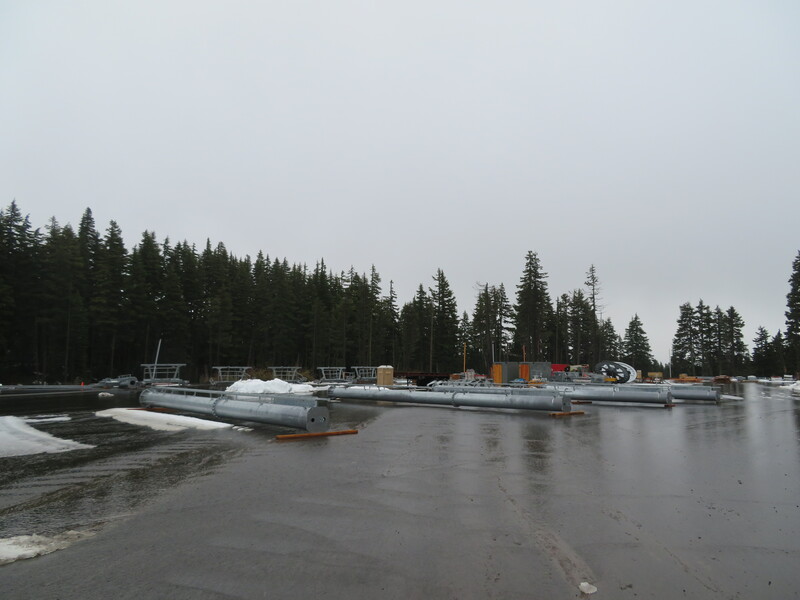 Hood had received nearly six inches of rain on top of early snow in classic Pacific Northwest fashion. 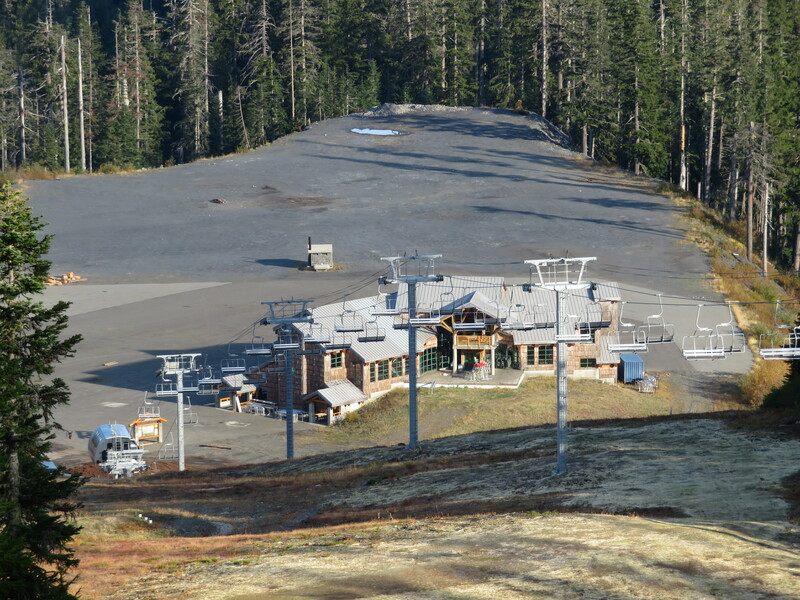 Timberline is already open for the season while lift construction continues next door. 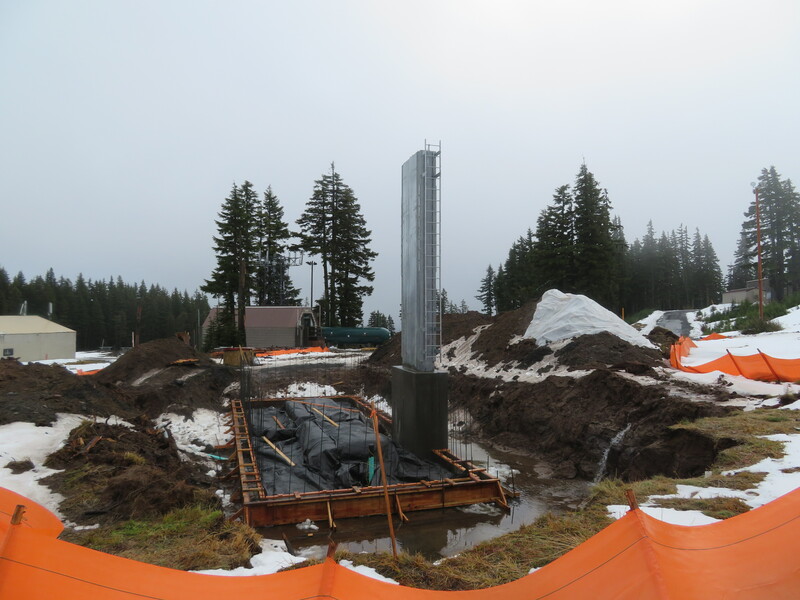 Concrete work for the new lift is almost finished and the weather looks much better this week as Meadows prepares for its 50th season. The Denver Post talks details with Dave Perry, head of the new KSL-Crown Family resort company. 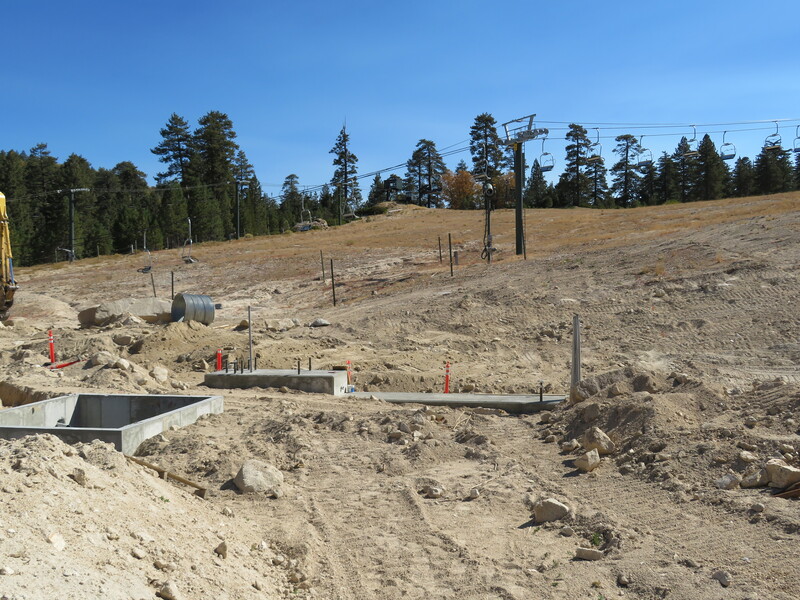 James Coleman is buying Elk Ridge, Arizona and plans to build a chairlift. Nonprofit operator of Cape Smokey in Nova Scotia seeks private investor to revive a mothballed 1995 quad chair. 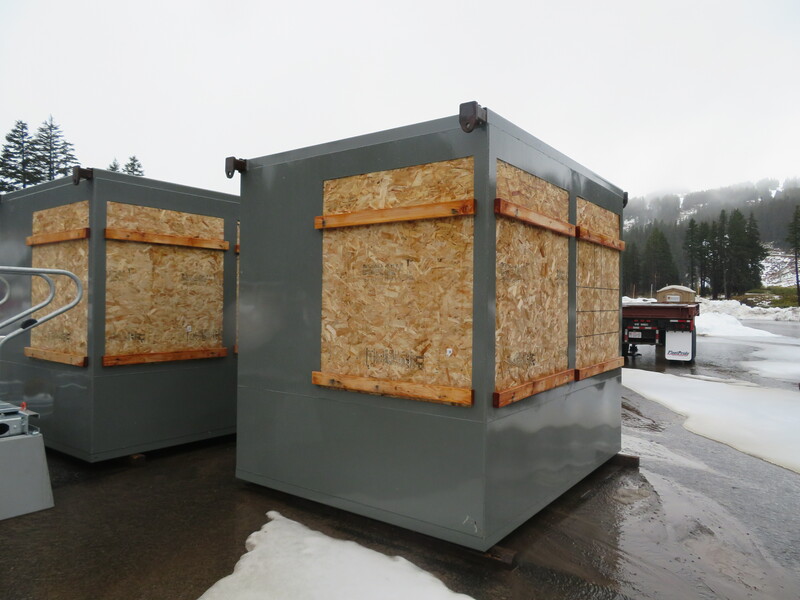 T-Bar mania continues in New England as Ascutney proposes installing a 2,500′ Doppelmayr from Le Relais. Man falls from the Black Mountain Express on Arapahoe Basin’s opening day. 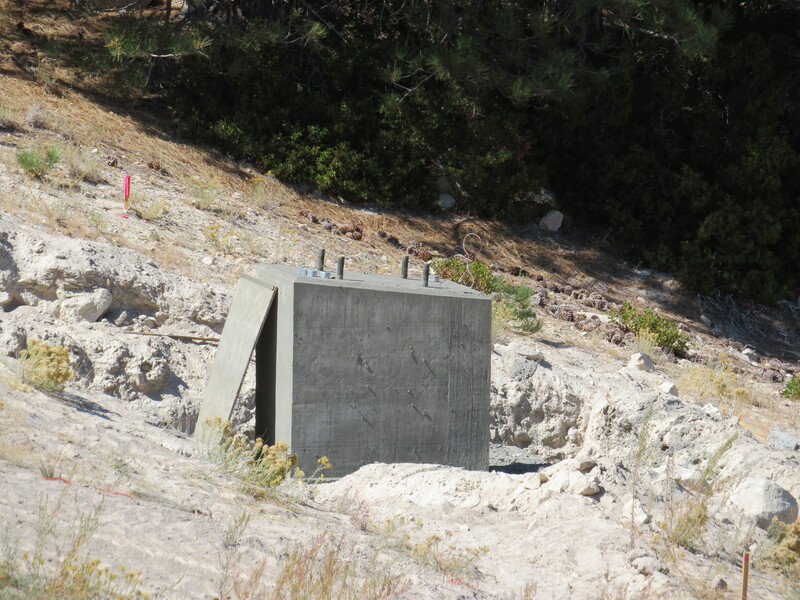 Tram board finds insufficient evidence to act against Granby Ranch for allegedly leaving a child on a chairlift years ago. Granby also moves forward with replacing Quickdraw’s drive. Eldora takes local media on a tour of Alpenglow. 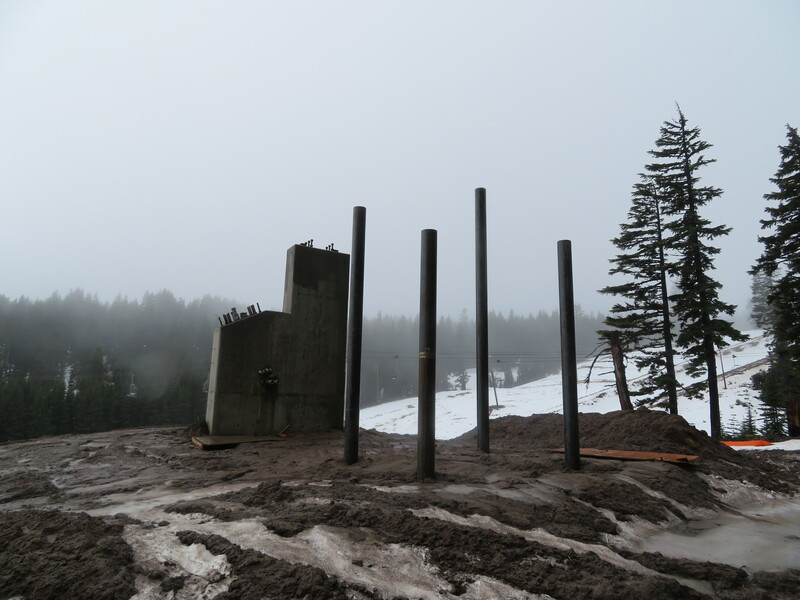 Sometime after I took pictures of the Basin quad at White Pass, a wacky offset half tower was added. Groundbreaking at The Balsams is delayed yet again. 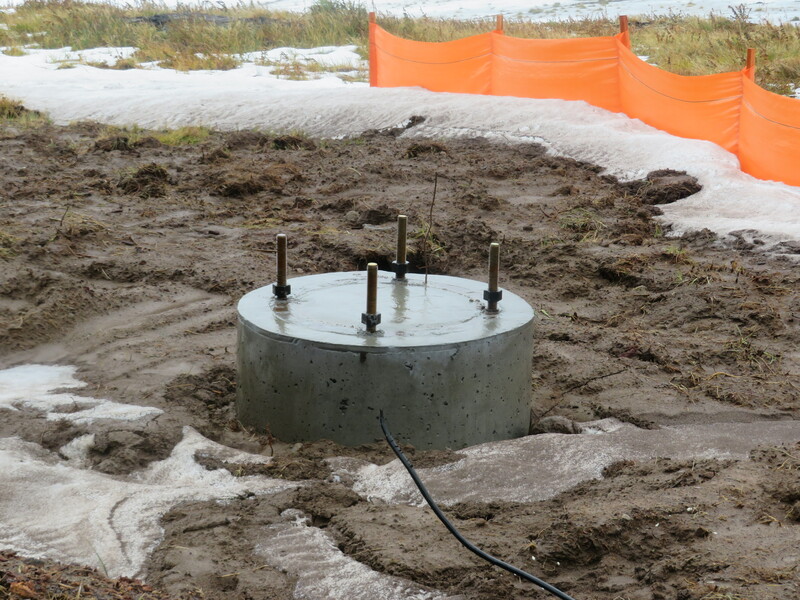 The private owner of the former High Pond Ski Area in Vermont is installing a new Leitner-Poma T-Bar on the site. 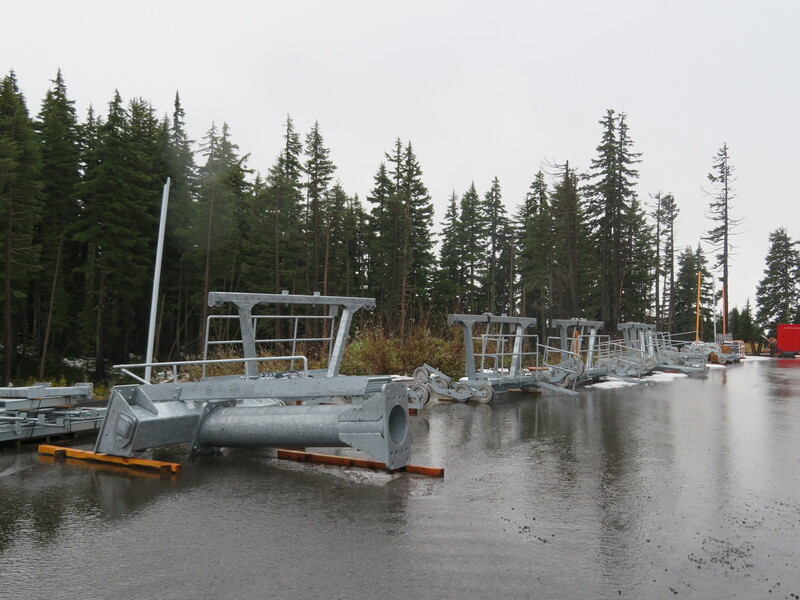 In a podcast interview, chief of Canada’s third largest transit agency says high-level talks are underway toward building the Burnaby Mountain Gondola. 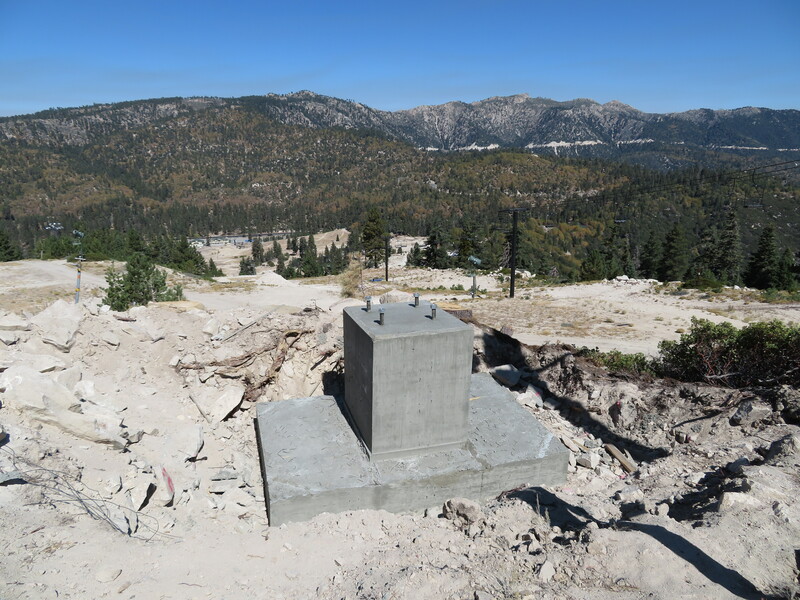 Purgatory seeks approval to build a 4,200′ lift called Gelande to the south of Needles next summer. 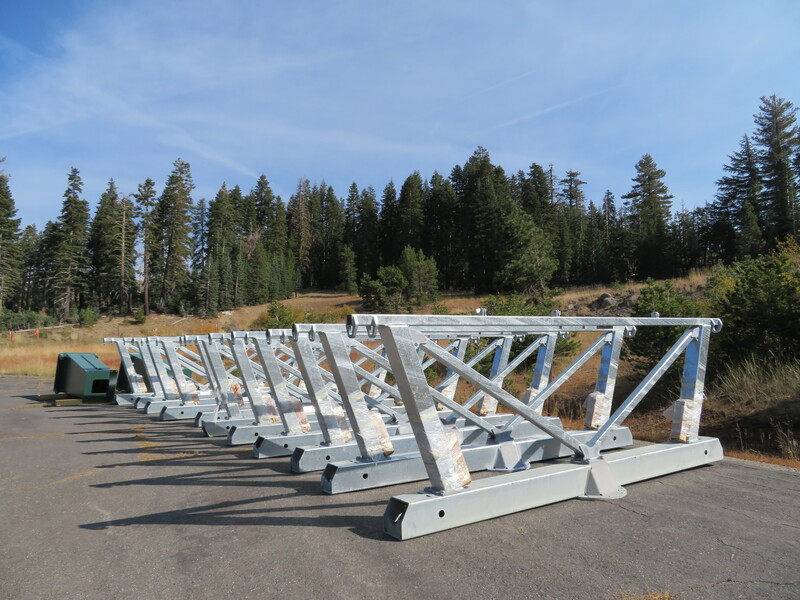 Heli operations hoppin' this week, getting the towers in for the new Montezuma Lift! Who got to see the action? 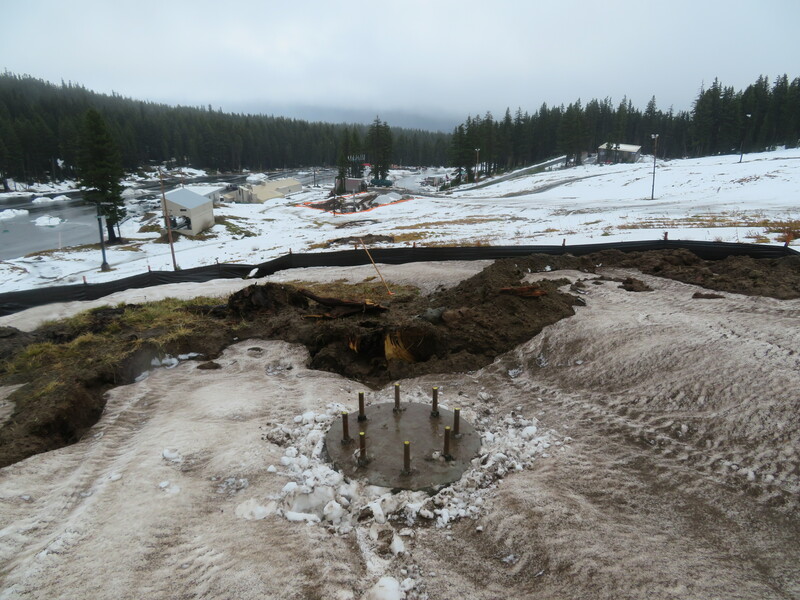 A foundation awaits steel at the top of Bear Valley, where a new six-person chairlift will open this season. 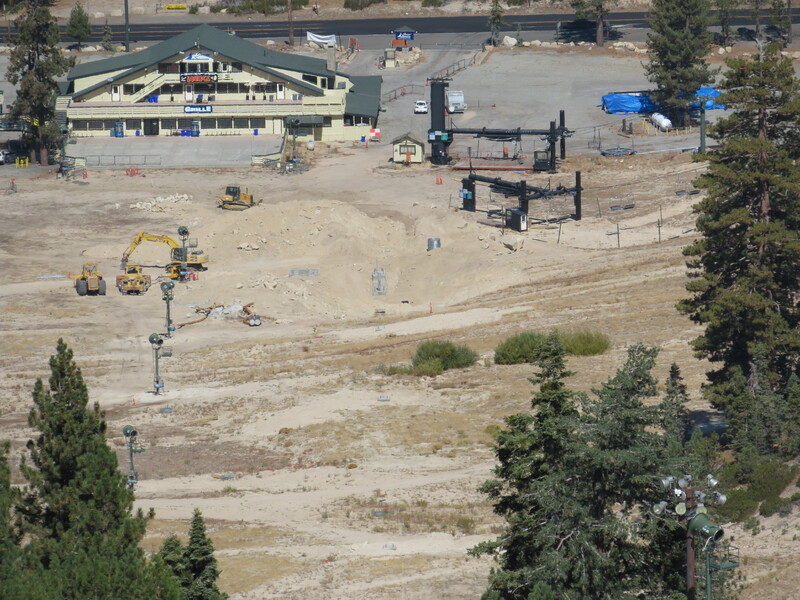 A big new six-pack is coming together on the front face of Bear Valley, site of the only new lift in Northern California for 2017-18. What’s code-named the Love Six replaces a 1967 Riblet double chair named Bear, which ran alongside a Lift Engineering triple. Kuma will stay for now but is unlikely to see much action as a shiny six-pack steals the show next door. 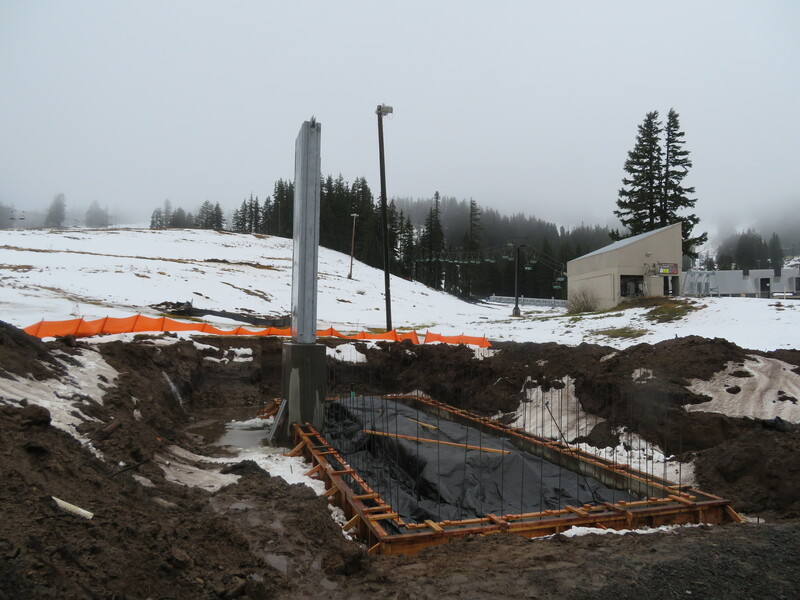 As of this weekend, Leitner-Poma is almost finished with concrete foundations and in the process of assembling 11 new towers (the old lift had 18!) 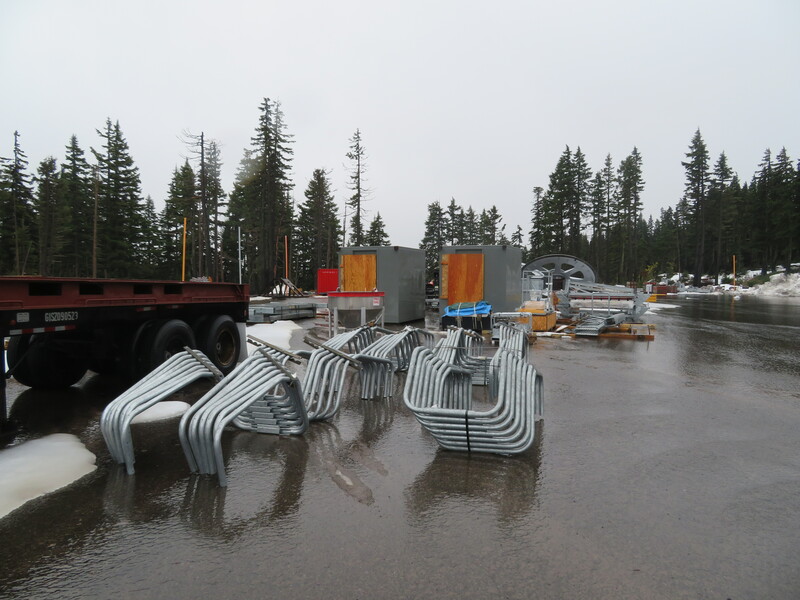 Terminal sections are being delivered nameless as Bear Valley weighs a more creative title than Bear Express. 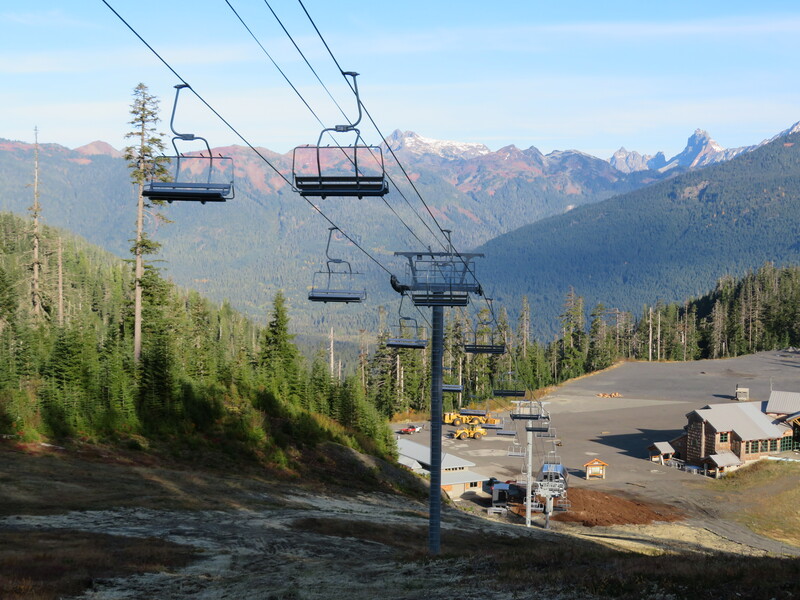 Hemlock Mountain, BC re-brands as Sasquatch Mountain and eyes a high-speed quad to replace Skyline. Vail Resorts’ fiscal 2017 net income rose 40.6 percent and skier visits 20.1 percent over 2016 with Epic Pass pass sales trending 17 percent higher for 2017-18. Och-Ziff sells Mountain High back to previous ownership group. 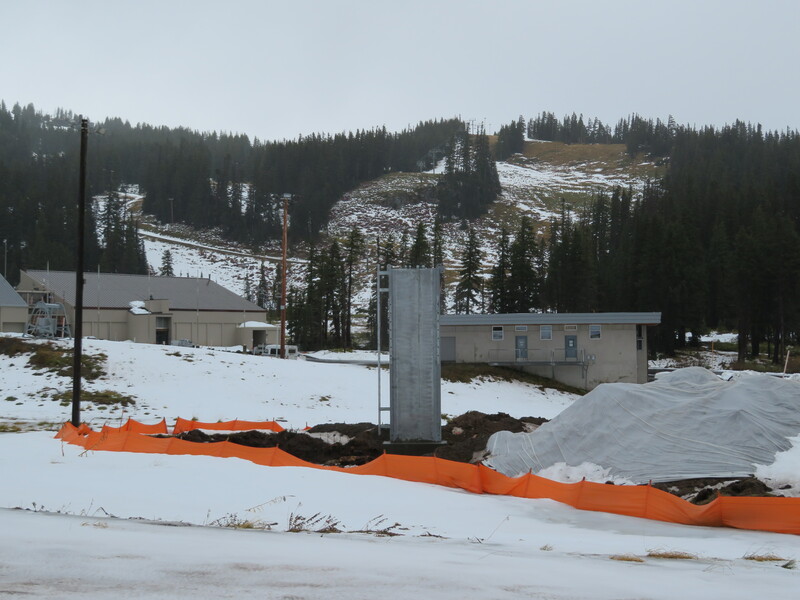 Frost Fire, ND won’t open this winter, citing the “dire” condition of its triple chairlift. 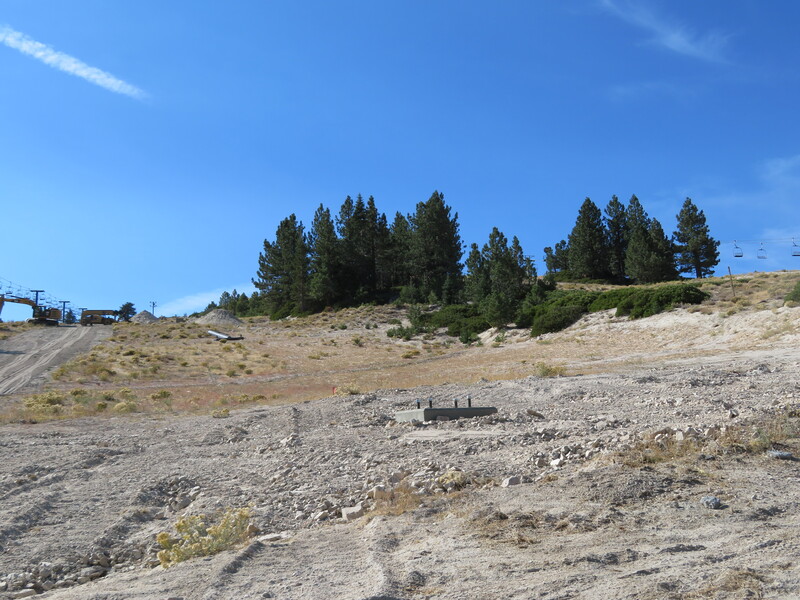 The nonprofit mountain estimates $1.35 million is needed to buy a replacement. 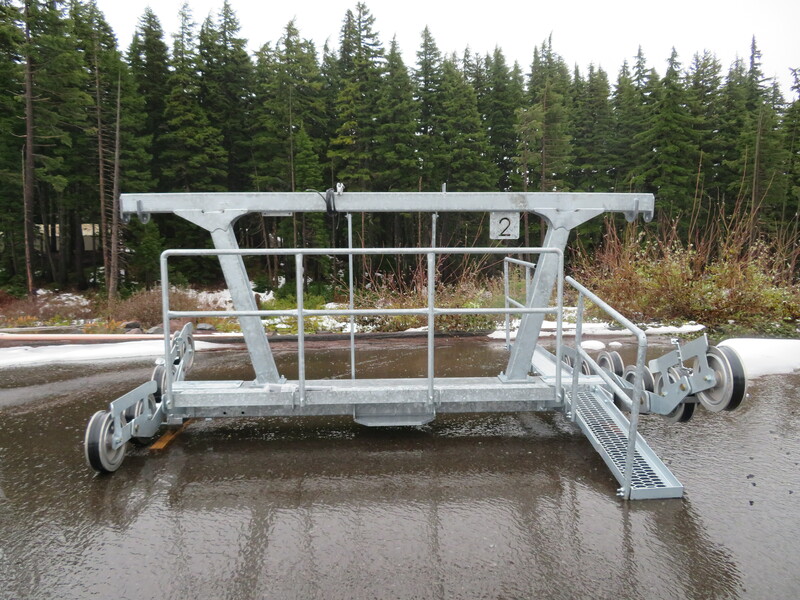 The statement makes no mention of the mountain’s other lift, a double chair with Poma components. 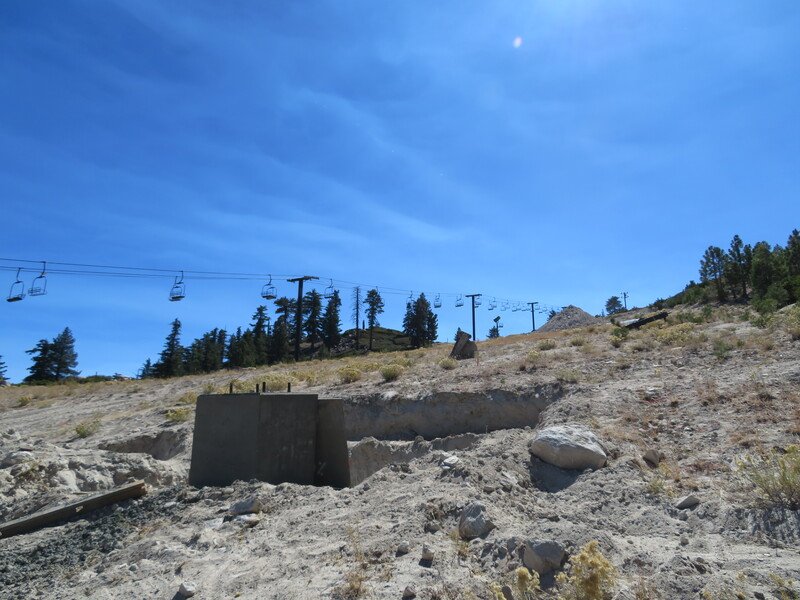 Sugarloaf’s five year plan would turn the SuperQuad into a SuperSix in 2019, move the CTEC Stealth to Timberline and add a T-Bar to Brackett Basin in 2021. Kevin Mastin paints a new trail map for Whiteface. 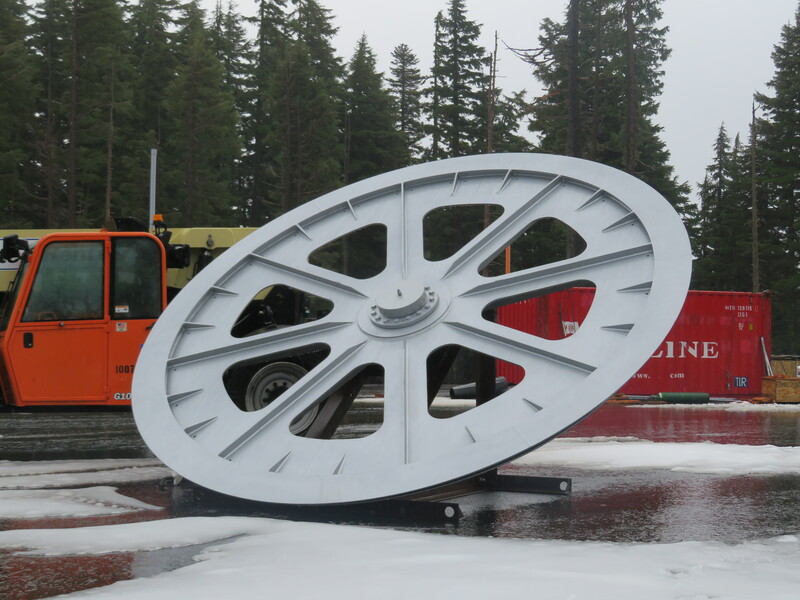 Belleayre’s gondola will feature a new rack design for snowboards and skis of different sizes. 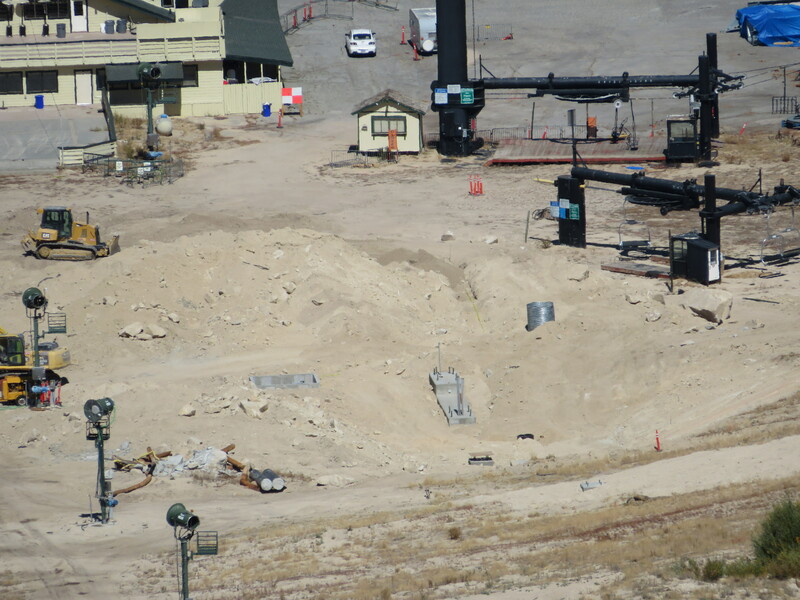 Steamboat Resort won’t operate Howelsen Hill. Resorts grapple with whether service dogs should ride chairlifts. 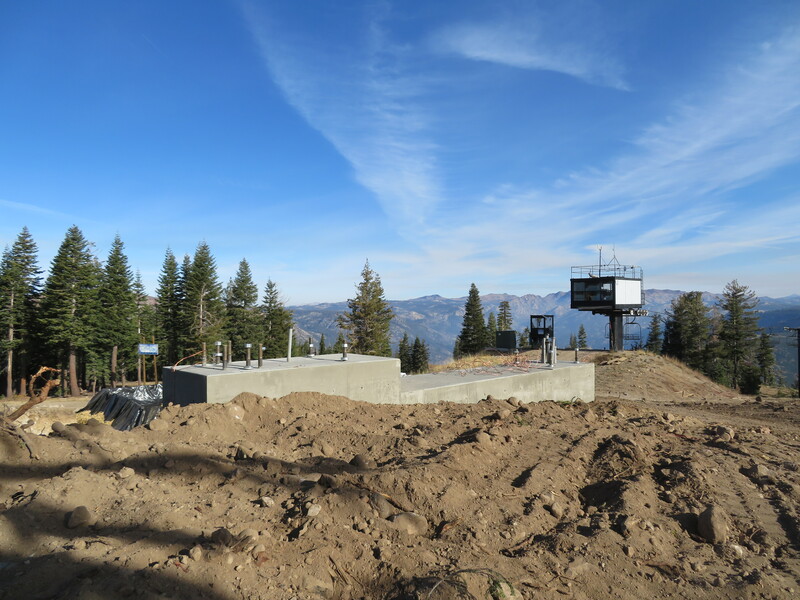 Allen Peak Tram’s new tower is in at Snowbasin. Doppelmayr’s latest Wir magazine features Oakland’s new gondola and more. 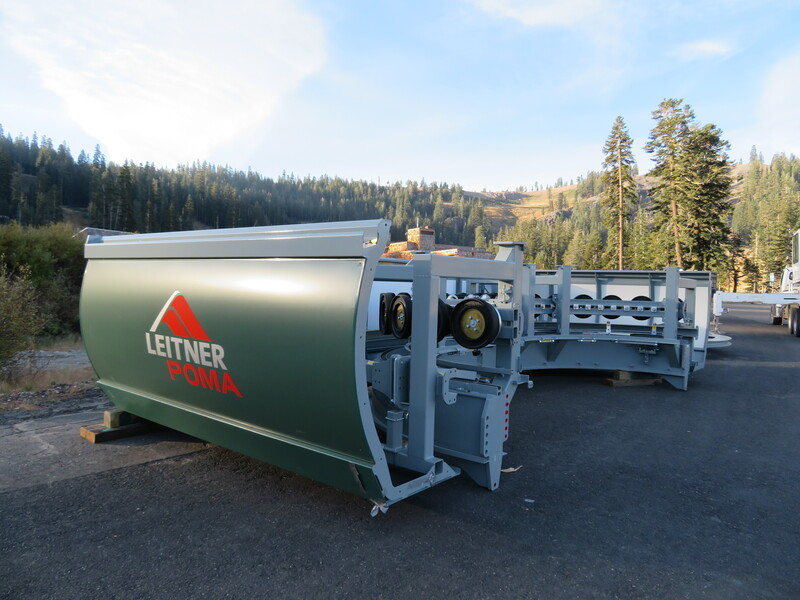 Crossarms staged for the new Snow Valley Express lift being built by Leitner-Poma at Snow Valley this fall. Back in April, Snow Valley made a big bet, investing millions to build Southern California’s first six-pack. For a resort with a dozen Yan fixed-grips built in the 1970s and ’80s, the new Snow Valley Express is a big deal. 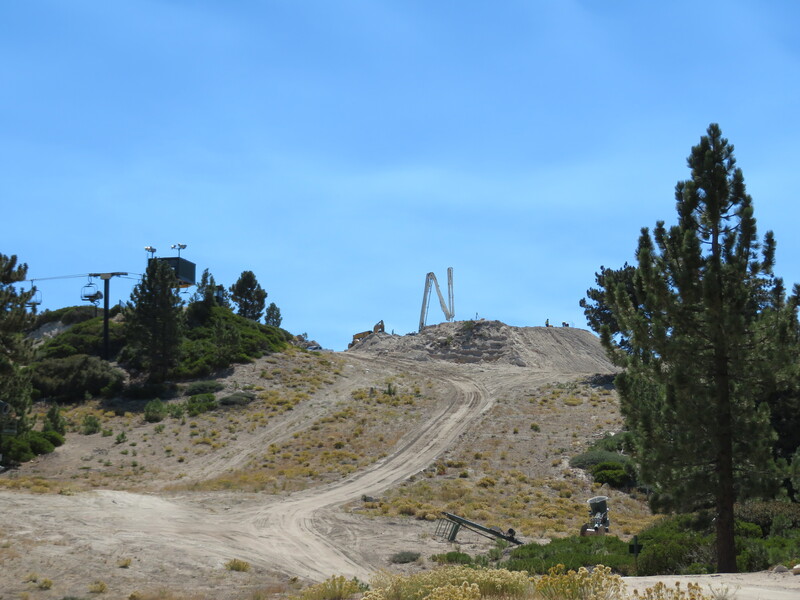 In the months since the announcement, new owners have coincidentally taken over SoCal competitors Bear Mountain, Snow Summit and Mountain High, hinting at further capital improvements in a market which hasn’t seen a new chairlift since 1999. Just down the road from two new KSL/Aspen resorts, Snow Valley prides itself on family ownership and is committed to improving the ski experience for its 80th season. 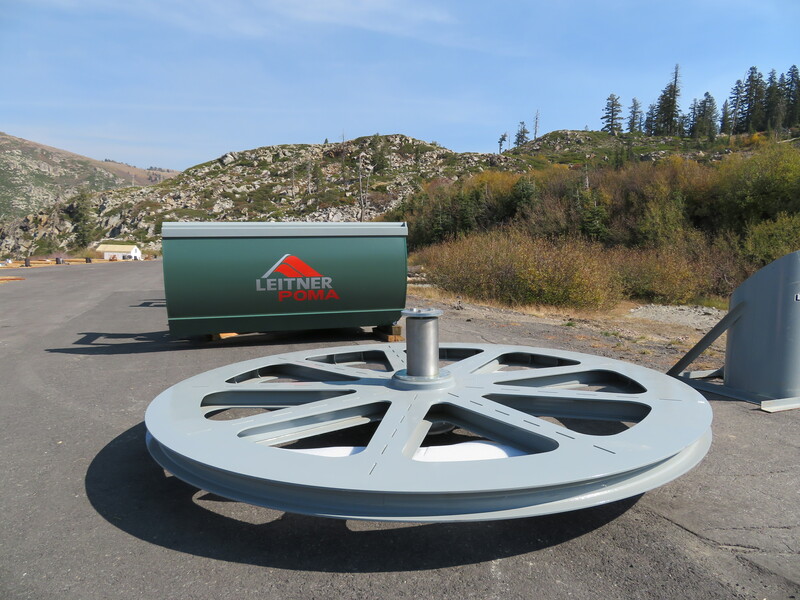 The turnkey Leitner-Poma six-pack project replaces Chair 1, a double serving the mountain’s front side. LPOA is very busy this fall with six new LPA detchables going up across the West and Midwest, the most since the new product debuted in 2010. 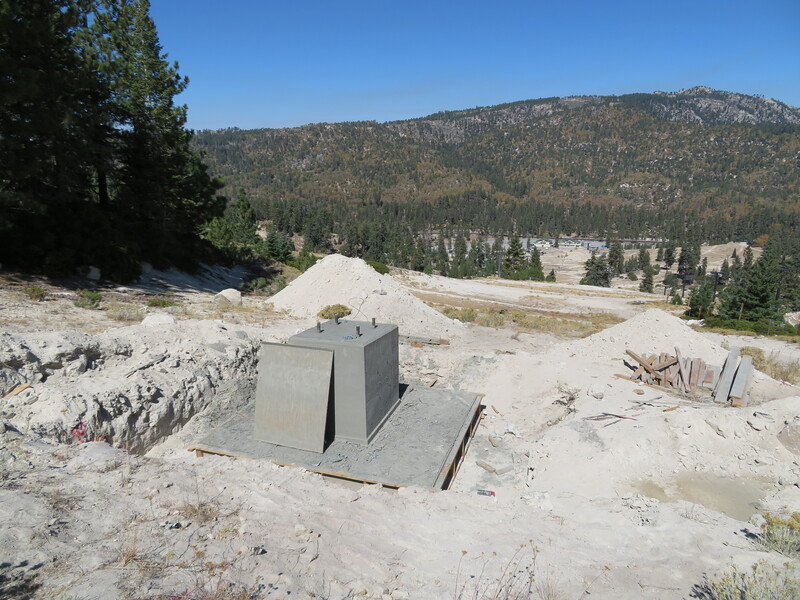 Snow Valley’s towers have arrived from Grand Junction and crews were finishing up concrete work at the top terminal today. 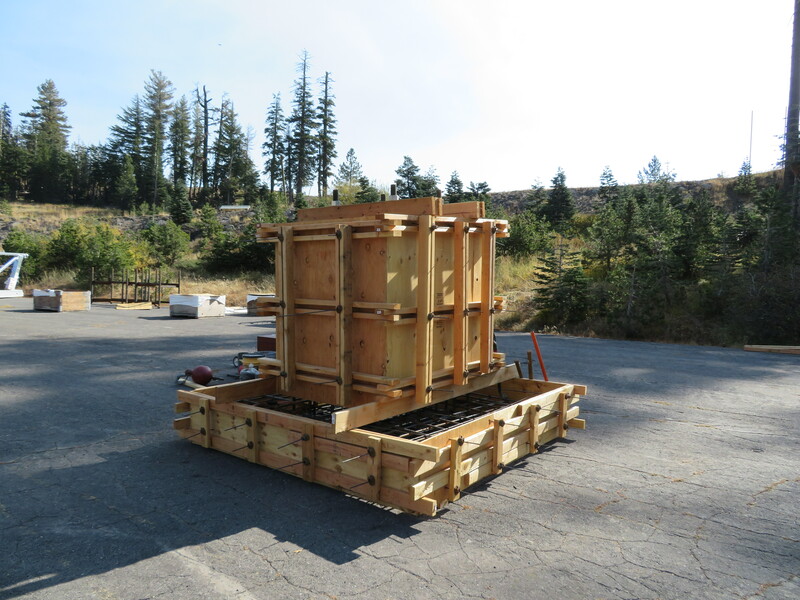 The bottom return terminal showed up last week, joining the seven strand Redaelli haul rope from Italy. 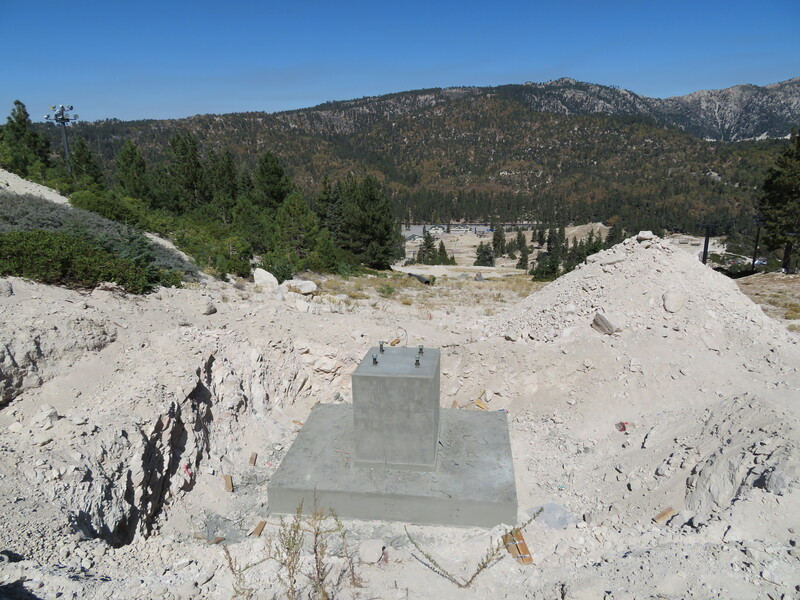 The drive terminal, line equipment and chairs will follow soon.